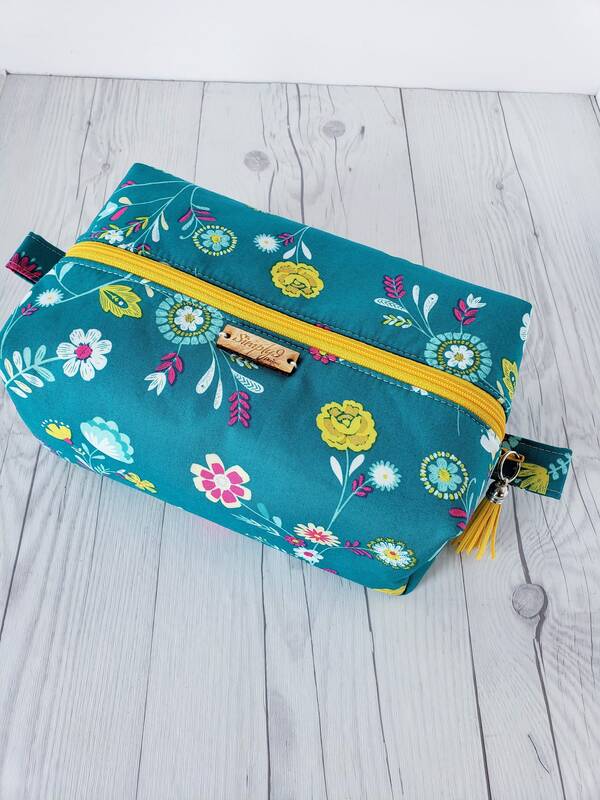 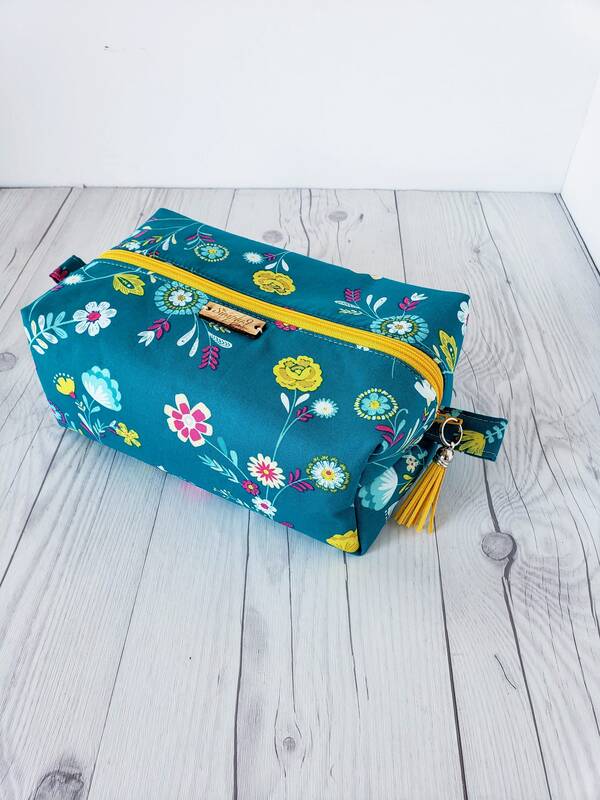 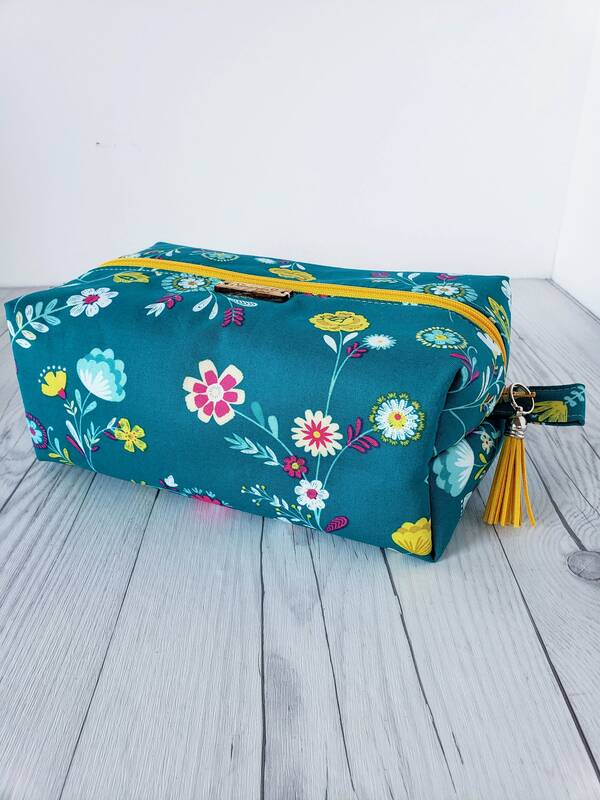 Check out this Floral Teal makeup bag. 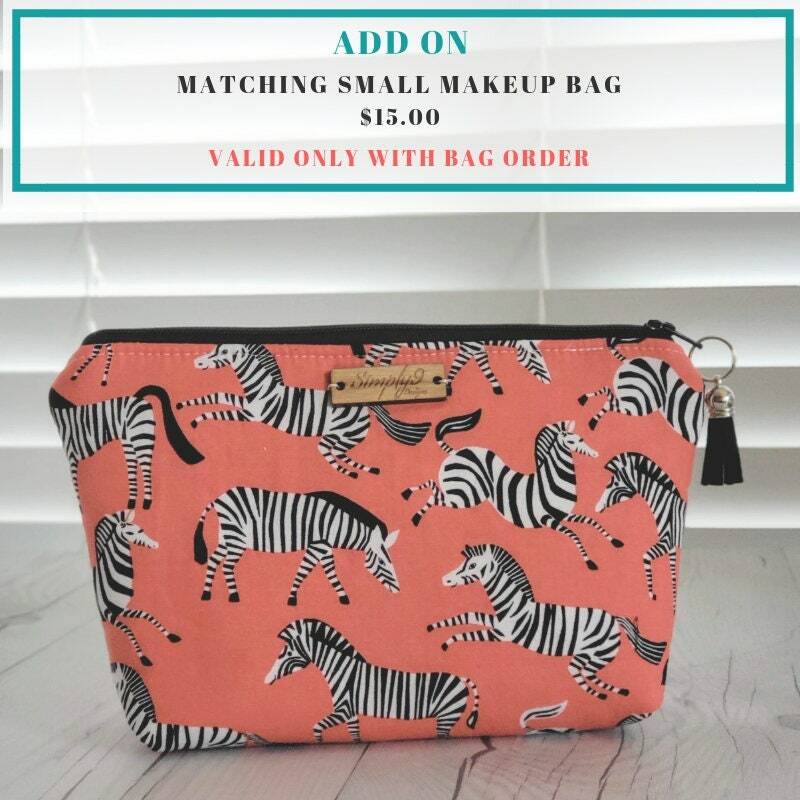 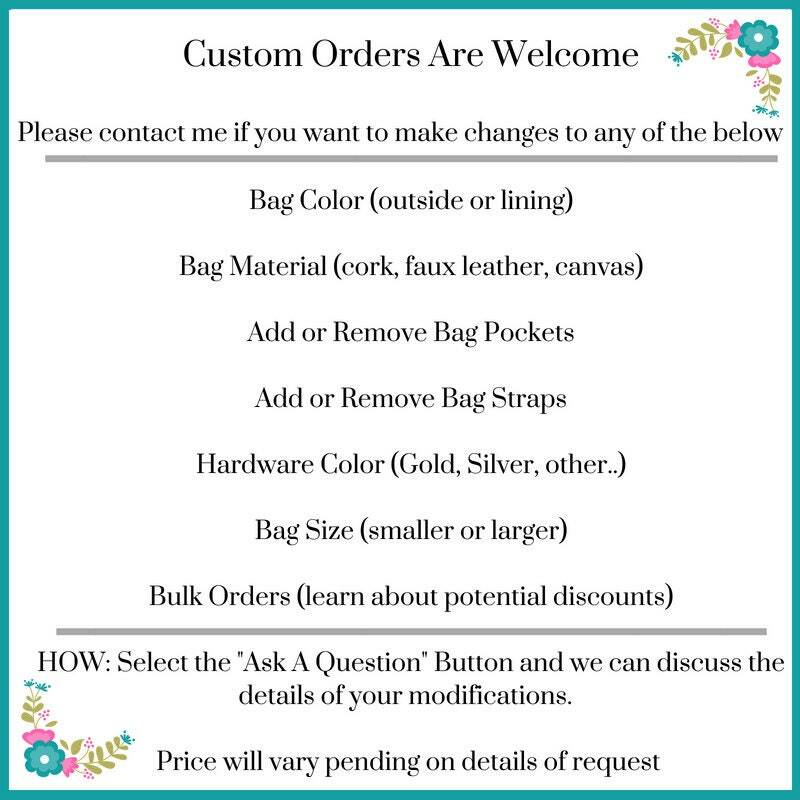 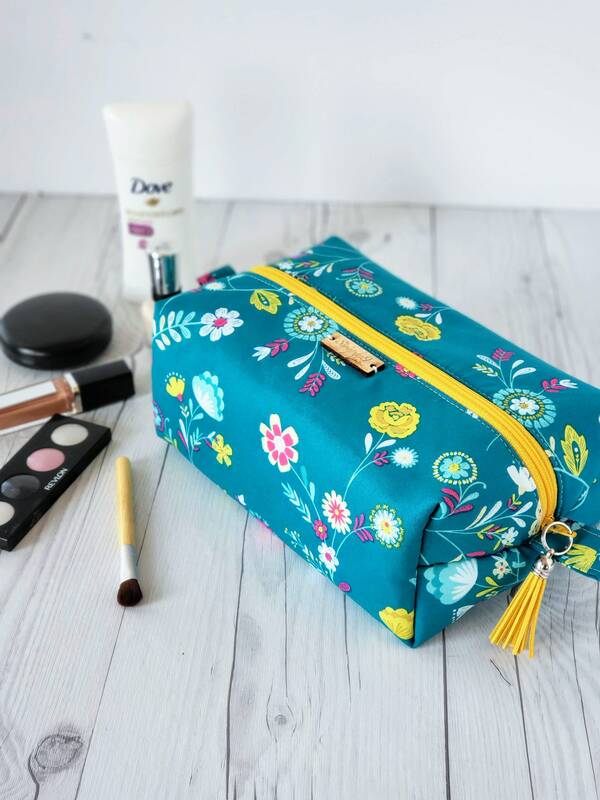 This large makeup bag can also be used as a cosmetic bag, toiletry bag, travel bag and or as a cute little pouch to hold your personal feminine items. 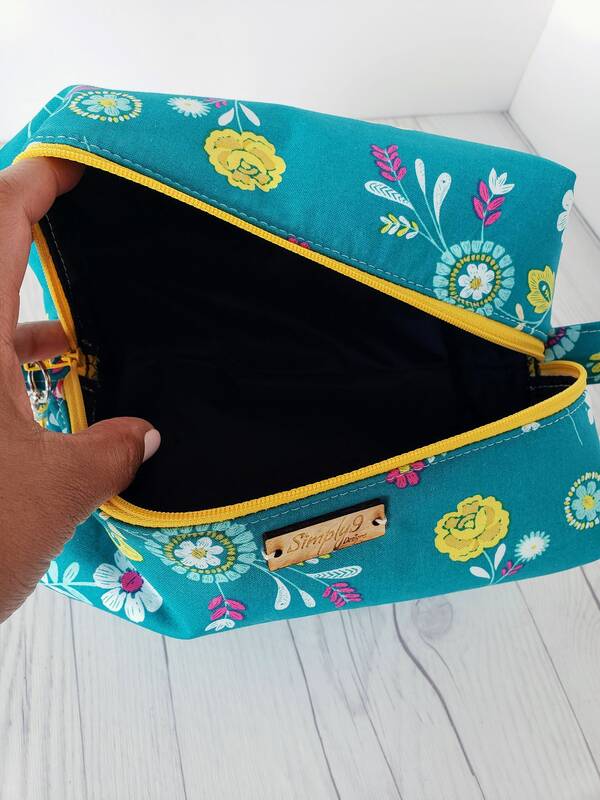 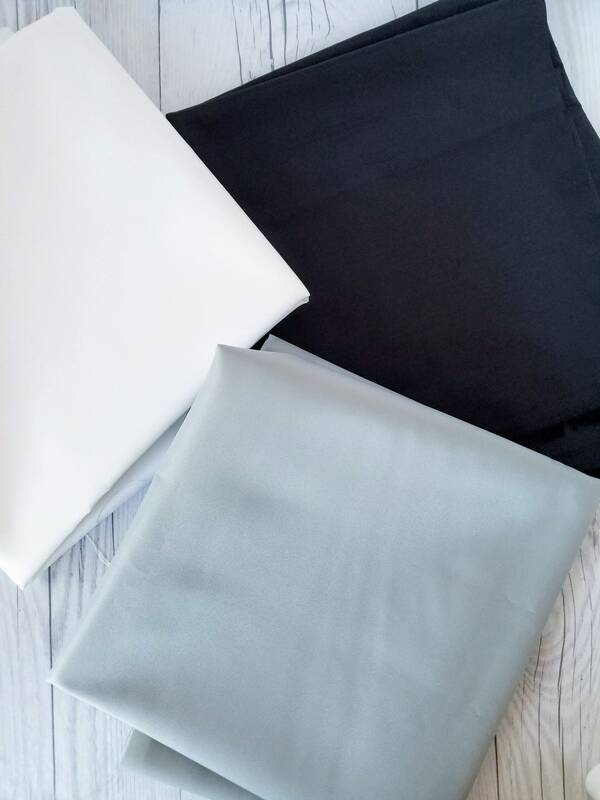 It comes with water resistant inside fabric for easy cleaning and with three color options to chose from. 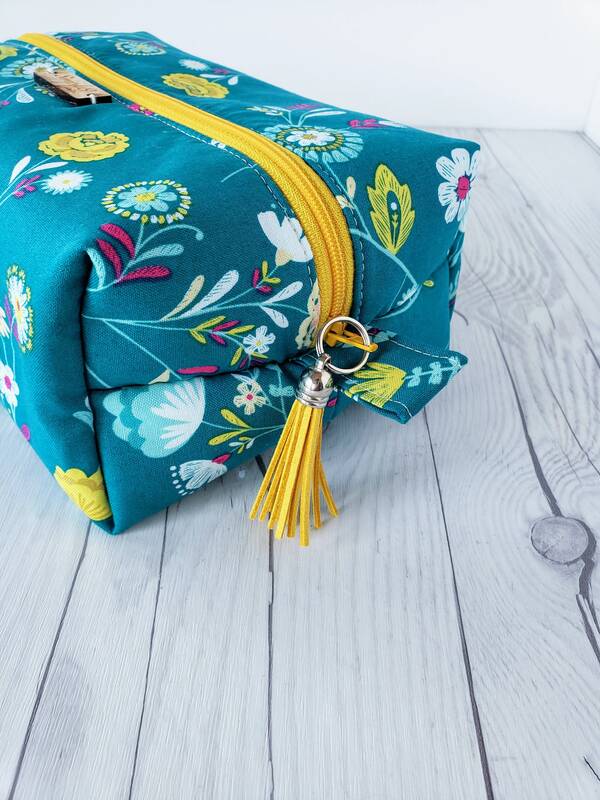 Along with a matching yellow zipper and suede tassel zipper pull. 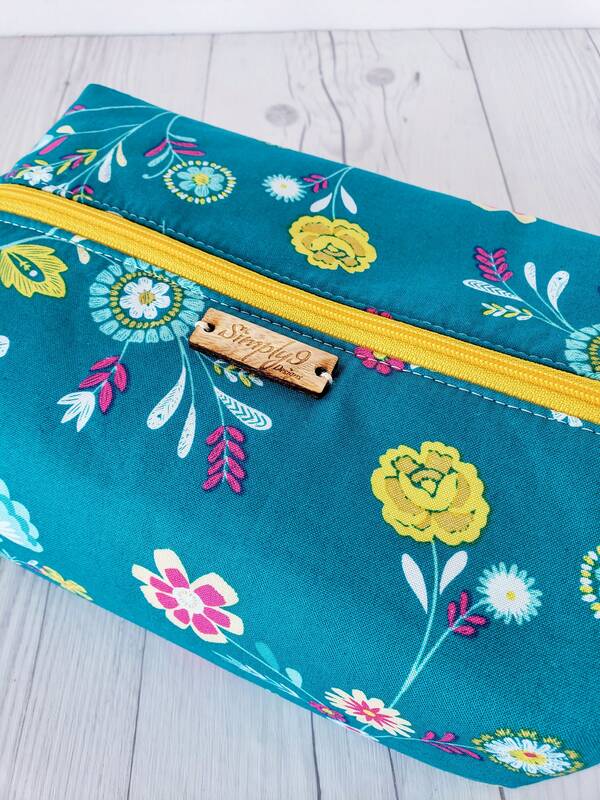 Beautifully made and such a pretty gift to give!